All the protection of the TotalProtect PLUS comprehensive coverage that includes unknown pre-existing conditions, rust and corrosion, plumbing stoppages, refrigerator with built-in water and ice dispensers and more! Includes $50,000 annual coverage and $85 service call fee per claim, all for just $5 more a month. 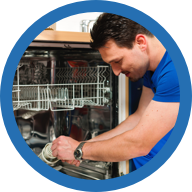 Our Basic plan covers repair and replacement protection for 18 of your home's most critical systems and appliances. It also includes up to $15,000 in annual coverage and a $75 service call fee per claim. Don’t risk it. Cover your central cooling systems plus accessible ductwork. Feel warm and safe with protection for your gas or electrical furnace or heater. Let our experts do it. Your interior wiring, light switches, and more are covered. Plumbing repairs aren't cheap. 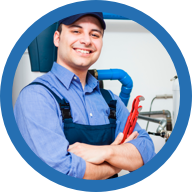 Cover internal pipes, garbage disposal, and more. Laundromat? No way! Whether top or front loader, gas or electric dryer, you're covered. Tank or tankless, we've got you covered. They just don't last like they used to so protect your refrigerator today. Rated 4.6 out of 5 stars at ConsumerAffairs.com! 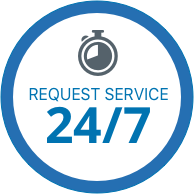 * See terms, conditions and limitations in your Service Agreement that you can review once we receive your enrollment request and send you your materials. Covered items must be in good working order, with no apparent visual or operational malfunctions, on your Agreement effective date. Service call due at time of service. This fee is separate from the monthly plan premium. Non-covered and incidental charges may apply to certain repairs or replacements. If you cancel after the effective date you may be responsible for any costs associated with services performed during the term of your Agreement prior to cancellation. Benefits may vary by state. Not available in all states; subject to sales tax where applicable. TotalProtect and Cross Country Home Services, Inc. are not affiliated in any way with ASBA its affiliates, or subsidiaries.